High-end solid state headphone amplifier. A newcomer shows the world the true sound of music. Solid state dual mono amplifiers deliver stunning speed and clarity, with hard hitting bass and drums and beautifully smooth decay to cymbals and string instruments, on up beyond perception, the Formula S amp is tuned for the highest resolution music and headphones. Impeccable balance, smooth and clear to the source, excellent bass definition, simply an excellent amp. It's stout size takes up less real estate on your desktop. Output protection and turn-on/turn-off delay keeps your high end headphone inve stment safe. Eleven Audio, this one starts at 11. The XIAUDIO Formula S was provided on loan by XIAUDIO. The length of the loan was not specified. I have received no compensation for my review, and the opinions represented are mine. I’d like to thank Michael Xiao for giving me the opportunity to experience this amp. This review originally appeared on Audio Primate. Now we are sharing with our friends and fans on Head-Fi. Alex Twister introduced me to Michael Xiao, proprietor of Eleven Audio, formerly of Lotoo. 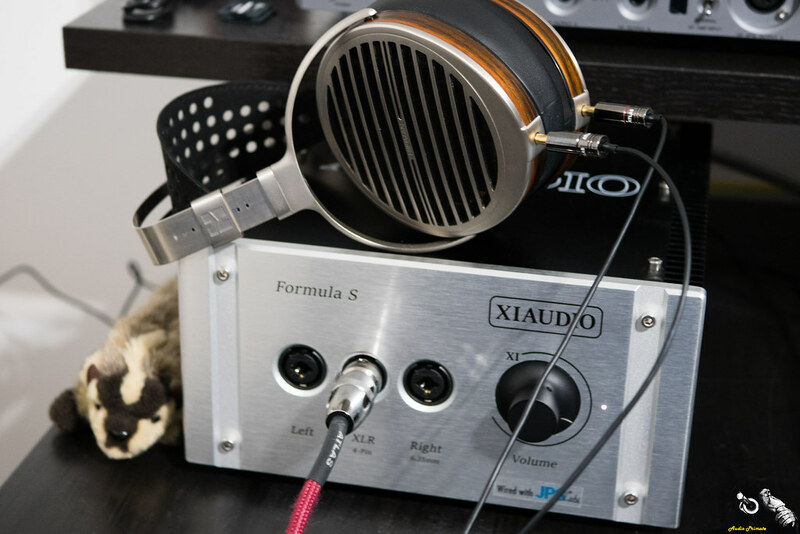 Alex doesn’t have any particularly demanding cans and knew that I had the HiFiMAN HE-1000 v2 in house, and a HiFiMAN Susvara on the way (review here), so he kindly introduced Michael to set up a review of the XIAUDIO Formula S. I’m glad he did. The version that Michael sent me was the original design (only ever available in Asia). The new design has all the same guts but comes in an all black finish that I think matches the Abyss AB-1266 Phi a bit better. The Eleven Audio Formula S was designed to power the Abyss AB-1266 perfectly and contains JPS Labs Alumiloy wires inside. Here are some pictures of what the amp you would get if you were to purchase looks like. The differences between the two looks are cosmetic: different printing, black colour, different more grippy volume knob (looks more industrial). Pictures in this review will all be with the silver 1.0 looks, rather than the black 2.0 looks. The XIAUDIO Formula S comes well packed with foam all around, a thick double-walled inner box and a thick double walled outer box. This is how high end electronics should be packaged, and is similar to how the Airist Audio Heron 5 was packaged, with one exception. The Airist Audio Heron 5 came with a power cable and a manual. The Eleven Audio Formula S sent to me came with neither. An AC cable is not included, standard. Their website recommends the JPS Labs PAC Lite. This is probably due to the development partnership between the two companies. That power cable will set you back about $500. If you do the recommended configuration, the amp is about $4k, the same price as an Audeze LCD-4 or a Focal Utopia. I didn’t run this set-up. I used a shielded cable from MCRU that I had on hand, it was less than $50. The Formula S that arrived on my doorstep has a single set of RCA inputs, which is the default configuration. When ordering, you can request XLR inputs instead. If I were purchasing, this is probably how I’d roll. My Questyle CMA600i has lower distortion on the balanced line-out and I noted it sonically when I reviewed it. The rear inputs are directly linked to the volume knob. Short paths are good engineering practice, the less circuitry in the way, the better opportunity to prevent distortion. The amp has a switching power supply and two gain settings. I like both features. Though I live in Britain, I like having the option to take my gear with me if I should ever return to my native land. Having two gain settings allows better matching with headphones which will lower the potential for distortion. The outputs on the amplifier include all the most common full-size outputs—but not for long. There are two 3-pin XLR jacks, one 4-pin XLR and one 6.3mm jack. It would have been nice to see the dual 3-pin XLR replaced by a 4.4mm TRRRS, but one can’t have everything. The outputs are all equipped with protection circuits and turn on/off delays to protect headphones. The amp promotional text on the website says that the volume goes from 0 to 11, but that isn’t exactly true. The volume on the amp actually starts at 11 and goes on to an unnamed number. Zero to 11 is for chumps. I played the amp at all sorts of volumes with all sorts of loads. For the Focal Utopia, it never went past a quarter of the volume knob. For the Susvara, I never needed more than 3/4s of the volume capability. This amp can handle the demanding cans you throw at it. However, it should be noted that I am a madman, and decided to plug in sensitive IEMs. Predictably, it hisses. This amp is for cans. You don’t need this kind of power for an IEM. 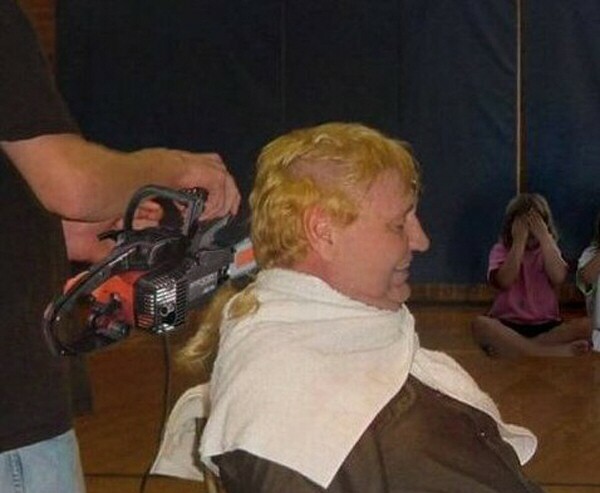 It’s like cutting your hair with a chainsaw. The amp has an incredibly black background with extreme levels of detail and texture. The Susvara could be driven using the Questyle CMA600i to sufficient volume, but it was a different beast—a tamer smaller beast, think housecat versus tiger. The soundstage was small and spherical, and details didn’t emerge like they do on the Formula S. The Formula S pushes the stage way out of head with especially impressive depth and instrument separation. The sound is natural—nothing added or taken away. The amp gets out of the way and lets the headphone speak, which is exactly what a headphone amp should do. 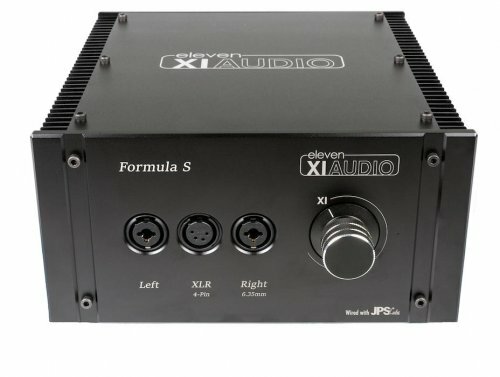 When the XIAUDIO (Eleven Audio) Formula S drives the Susvara it sounds effortless. The stage is airy with a smooth flow between its areas. The soundstage is tall, with exceptional depth and an impressive out of head width. Imaging is precise and sonic cues are detailed. The background is black and completely silent. Compared to the CMA800R Golden Reference monoblocks, the XIAUDIO Formula S has greater stage depth and a more neutral presentation. The monoblocks have a bit of a warm tinge to their sound and a bit weightier tones. I preferred the sound of the Formula S.
The Focal Utopia is pretty easy to drive, as flagships go. It takes next to nothing from the Questyle CMA600i to get it up to volume. It is easily driven by the Questyle QP2R. However, like the Susvara, the Focal Utopia benefits from the added transparency and drive of the Formula S. When listening to Leonard Cohen – Leaving the Table with either the Susvara or the Utopia, the Formula S brings more micro-texture to the sonic landscape. Leonard Cohen’s voice is just dripping with texture and emotion, and the Formula S brings a level of micro-texture (especially with the Susvara) that lesser amps can’t equal. It’s spine meltingly good. The Formula S has greater resolution than the CMA600i, better texture, a bigger soundstage, greater precision and speed with an effortless delivery. I guess there are reasons to go beyond one box, if you are getting to the top tiers of headphones. The CMA600i can’t showcase what the Susvara or Utopia can do. The Formula S emphatically does. My standard interconnect setup when the Formula S arrived was Atlas Element Integra RCAs. They are good interconnects that I previously noted to be brighter and more transparent than the Van Den Hul interconnects I have in my living room setup. I did the blinded wife test and got the same observations—I know, not very scientific, but can be done while watching a two-year-old. When I went to the Indulgence Show (October 2017), I lucked out and won some Wire on Wire Experience680 interconnects. I doubted they’d make much difference, but when I plugged them into the setup they upgraded transparency and soundstage width over the Element Integra, but at the cost of a little bit more brightness that can be fatiguing. That fatiguing effect seems to have lessened over time. Upgrading the interconnects showed that the Formula S had some previously untapped potential. The resolution is simply spectacular. Laser sharp focus emerges from the prog rock synths of Rush – Tom Sawyer. Drums snap and slam with convincing air and motion at the end of Neil Peart’s drumsticks. The sound is like being there, but slightly shrunken down so that it fits in your home. It’s a miniature reality a bit bigger than the confines of your head. 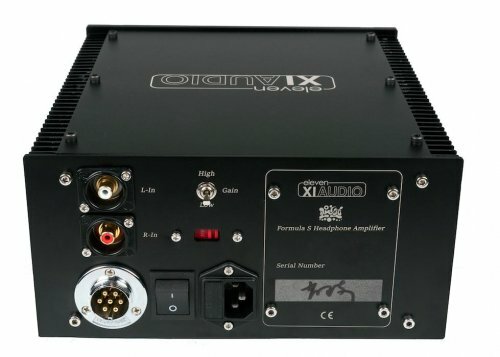 Of all the amps I tried with the HiFiMAN Susvara, the XIAUDIO Formula S is the best at showcasing the Susvara’s talents. It holds nothing back on power. It is transparent as a caldera lake of a long dormant volcano. It allows air between instruments to be felt and heard and the air movements of drum strikes to prickle the skin. The timbre and texture of bass notes is awe inspiring with the Susvara, and it didn’t do it without the Formula S in my setup. I observed similar gains with the Utopia compared to driving it on lesser amplification. 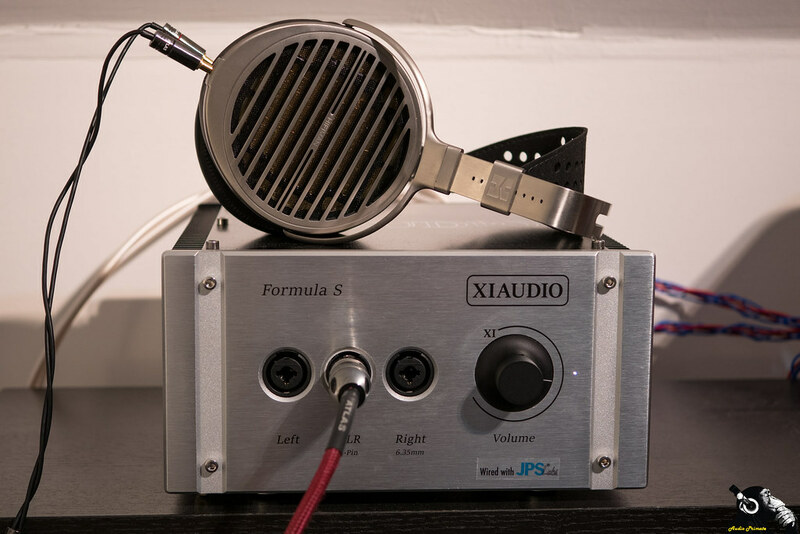 The XIAUDIO Formula S is a spectacular enabler of audio bliss. It’s expensive and excellent.